Congratulations to all our award winners!! Claude Hartman, DTM who received the Cap Sias Award for his tireless dedication to District 19. 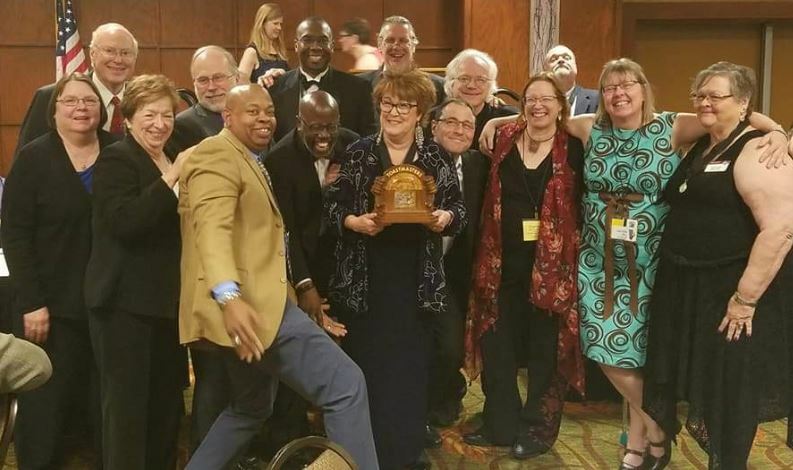 The Carleton “Cap” Sias Toastmaster Achievement Award is District 19’s most coveted, prestigious and respected award. The Cap Sias Award is to acknowledge and honor an exemplary District member who displays similar commitment, dedication and effort for Toastmasters’ program and fellow members, and has made significant, praiseworthy contributions toward achieving the goals and mission of the club, and District, as did “Cap” Sias and, to acknowledge Toastmaster International policy of promoting awards to recognize achievement that stimulates improved performance of districts, clubs, and individual members. Crossroads Storytellers Club won the Traveling Trophy Award for the furthest traveled and most attendees from their club. 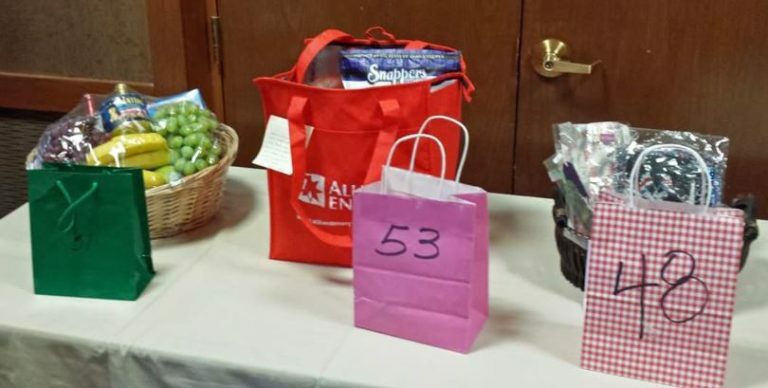 Heritage Club won the coveted Raffle Basket Award. 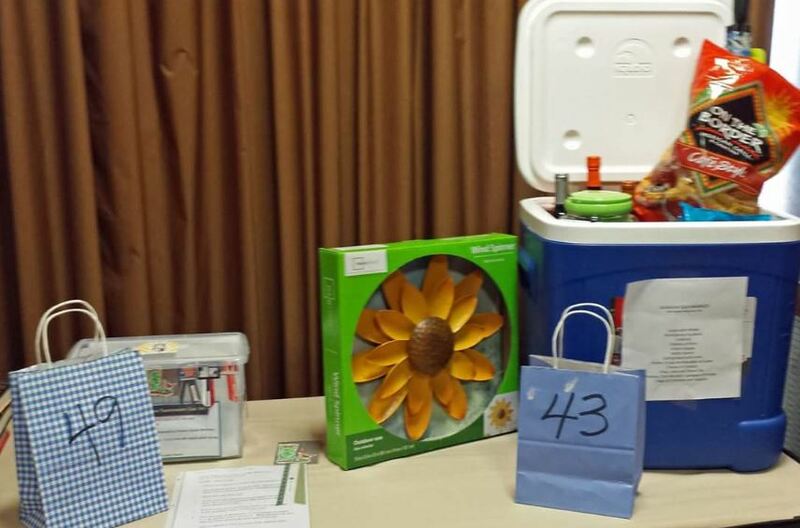 The raffle basket drawing is a fundraiser for the District and one of many highlights of the Spring Conference. Thanks to all the clubs who donated and thank you to those who bought and sold tickets. Congratulations to all the District 19 Spring Conference 2018 Speech contestants! 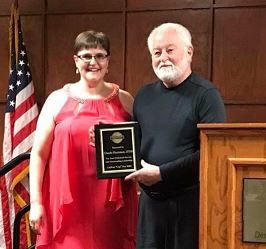 Attendees witnessed four great Table Topics speeches from Stephanie Merrick Mitchell, Penny Hoeper, Brett Smith and Sue Schmitt as well as four passionate International speeches from Sonia Wilson, Tamara Dark, Monique Kuhn, and Kory May at the Spring Conference this year. 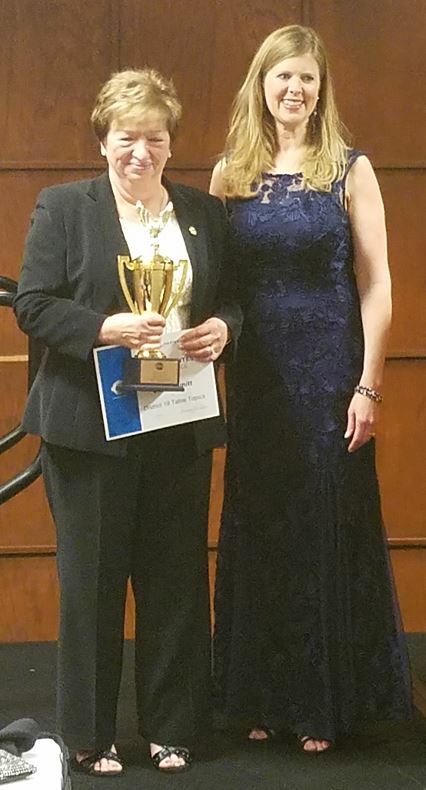 Sue Schmitt won first place in the Table Topics Contest with Brett Smith coming in second place. 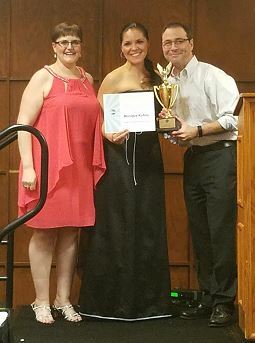 As always, the International Speech Contest did not disappoint with Kory May’s speech entitled, “The Burning Platform,” taking first place and Monique Kuhn’s speech, “Shhhh…” taking second place. 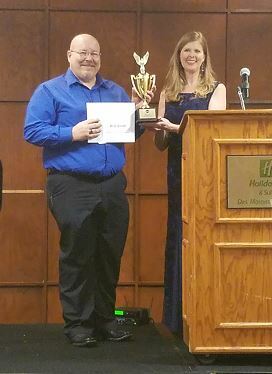 We all have an excellent opportunity to support our District 19 International Speech Contest winner, Kory May as he represents our District among the best of the best. 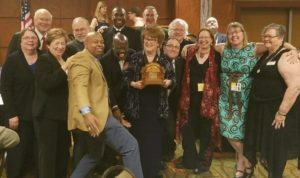 Make plans now, if you have not already, to attend the 87th Annual Toastmasters International Convention in Chicago, IL. The Convention is planned for August 22-25, 2018. 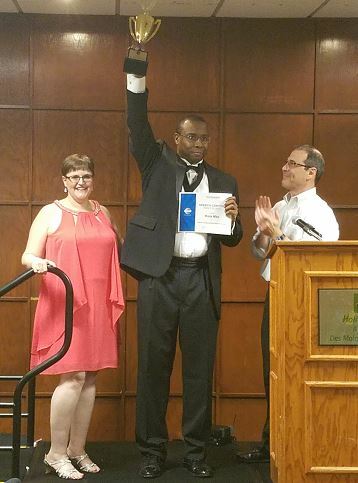 This is a great opportunity to support Kory May our District 19 International Contest winner, experience Toastmasters on another level, learn at various educational sessions and participate in networking opportunities with hundreds of fellow Toastmasters. The convention will be held in the Marriott Marquis Chicago and McCormick Place Convention Center. To reserve your hotel room at the discounted rate of $199 please visit the convention website. There are still opportunities to be a volunteer at the International Convention and join the Helping Hands program. If you are interested, please visit the convention website to confirm your interest and submit your application. For additional convention information visit the convention website. Congratulations again to all the District 19 Spring Conference 2018 Award Winners!